The Basics: Tuesday, January 2, 2012, 8:30 PM EST on ESPN, from Glendale. Oklahoma State (11-1, 8-1 Big Integer) and Stanford (11-1, 8-1 PAC12). Steve, our regular season picks champion, just happens to also be a Stanford season ticket holder, and gives us his rationale for the Cardinal’s sure victory. Be sure to check out the counterpoint! It has truly been a magical year on The Farm and since all Stanford football conversations start with Andrew Luck let’s get that out of the way early. He’s good, seriously he makes playing QB look easy, his tears have the ability to grow hair on bald men and he makes a mean western omelet. I would love to tell you that it’s not just him, that there are all kinds of offensive threats around him. The 3-headed TE corps of Fleener, Toilolo and Ertz, the 1,100 yard back Stepfan Taylor, the strong ground game of Gafney, Wilkerson and Stewart, and the speedy sure-handed receivers Griff Whelan, Chris Owusu and Ty Montgomery. But from where I sat this year, it was pretty easy to see how it is Luck that makes them all better. When the Cardinal has the ball, look for Luck to exploit any TE mismatches. 19 of his 35 touchdowns have gone to one of the big 3. With Ertz out and Toilolo around 70% for Oregon much of the gameplan was gone and offensive output suffered. Watching one of the 3 go down field and take on a much shorter/smaller DB is excruciatingly fun. Sadly Owusu’s concussion against Oregon State probably sealed a once promising career but, Luck’s roommate Whelan and Freshman Ty Montgomery have filled in well. The hidden gem of the Cardinal attack is the running game. 2nd in the Pac 12 (passing was 6th btw) in yards per game, the running game owes much to the attention opposing defenses pay to Luck. All of this behind a front line with 2 2-time all Pac 12 OLs that gives up less than 1 sack per game and against the 83rd ranked rushing and 107th ranked total defense in the country. If I were Luck, I would have stayed in school for that too. On defense the story is going to be simple, limit the big plays. OSU will be unable to move the ball on the ground. Period. I am sure they could care less. They will throw the ball and to tell you the truth it’s the part of this game that has me the most scared. The secondary has allowed over 250 yards in the air for 6 of the last 7 games with the sole exception being Oregon who didn’t need it. The DBs will need to come up with 1 or 2 stops because conceivably that is all it will take. I fear this mostly because of all the unnecessary big gainers given up to the likes of Washington State, Colorado, Washington, Berkely and Notre Dame not to mention Oregon and USC. A lack of effective running here may allow for extra help in the secondary. Well, our Midwestern correspondent checks in with one side of the debate… yeah, he’s biased. Be sure to check out the counterpoint a bit later this evening. Since we have already watched the “Best Bowl game of the Season” once, let’s talk about the REAL best bowl game of the season: Oklahoma State vs. Stanford. As a Cowboy fan, it’s easy to get excited about this game. The first BCS game in school history, following the first Big 12 championship in school history, which was won by clown-stomping our in-state rival (had to type that one more time). Oklahoma State brings arguably their best team in school history to this game (at least in my lifetime). Led by one of the best offensive tandems and an unfairly criticized defense, this team can beat anyone in the nation. I was asked to give an Pickens-sided perspective so here goes…why one fan thinks OSU will win the Fiesta Bowl. Everyone knows about the stars, Luck, Weeden, Blackmon, but where I think this game will be won or lost is where most games are won and lost, along the lines and on defense. Oklahoma State has one of the best offensive line coaches in the nation in Joe Wickline. Last year he took 5 new starters and turned them into the best performing line in the Big 12, which is saying a lot with the other linemen in the conference. This season, he added 2 other linemen to this mix and again has a dominating line. This is why, in my opinion, OSU has one of the top offenses in the country. It’s not surprising that the only hiccup this year was when the line had their worst game. If the O-Line performs as it has for two seasons, I find it hard pressed that Stanford will be able to keep the Cowboys under 30. This leads me to my next key of the game: The Defense. Much has been written about how bad (statistically) this side of the Cowboys team has been. However, look at it this way: They held 5 top 25 offenses below 30 points (3 of these games were on the road), and two potential top 10 draft picks (RG3 and Landry Jones) to 1 TD and 7 turnovers. Now many will say neither of these players is Andrew Luck. I’m sure they are not, but the Cowboys have fared just fine going up against top offenses all season. Some will also say holding an offense to under 30 shouldn’t be highlighted. Based on my first point, if Stanford doesn’t score 30, OSU wins, because I don’t believe Standford will hold the Cowboys under that number. Nobody has done that all season, and I don’t see the Stanford Cardinal doing it either. 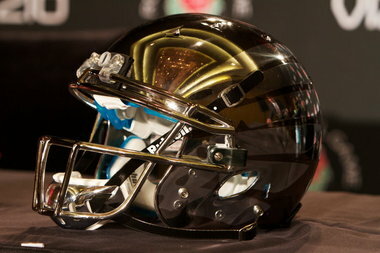 Finally, I look at Stanford’s loss, Oregon. Not only did they lose, they lost BIG and at home. I watched this game from start to finish and what stood out was how slow Stanford looked, again AT HOME. Oklahoma State is very similar to Oregon…they spread you out, are crazy up-tempo, and then pass and run depending on how you line up. Also, like the ducks, they are VERY fast at the skill positions. I see more of the same happening to Stanford in this year’s version of the Party Bowl. My prediction, Oklahoma State 41, Stanford 31. Oh, for kicks and giggles, Alabama beats LSU 4-3 with a safety as time expires. Now what do we have…3 one loss teams. And I say the Oklahoma State Cowboys are the AP National Champion! Hey, why not, because none of us buy into the BCS anyway. Need picturesque photos of tourists along a canal? Missing moments for mariachi bands in your life? Well, this is the bowl for you- Since I’m the only member of tBBC who’s actually seen both of these teams play over the past five years, I’m the guy to get you prepped for all the festivities. The Basics: Thursday, December 29th, 2011, 9:00 PM EST on ESPN, from San Antonio. Washington (7-5, 5-4 Pac 12) and Baylor (9-3, 6-3 Big 12). History: Ah, the Alamo… Here’s the jokes we’ve made at this games’ expense in the past. This historical festivity has seen such great matchups as Texas Tech’s last stand minus the Capn’, and the introduction of the Shot-Ginn (more later). Washington: Year one of AL (After Luck), the Huskies got ready for the new stadium by putting together a relatively middle of the road team. No disrespect to Steverino; but UW won all the games they were supposed to (minus a loss to Oregon State) and were blown out against better opponents (including a revenge beating at the hands of the Cornhuskers). Starting out with a three point victory over a team with the worst field in America (take that, Boise!) , it was going to be a rebuilding year from the opening kick. Their defense is 99th in the country in points against, which means that Chris Polk (1340 yards rushing) and Keith Price (2625 yards passing) have to keep busy just to keep them in the game. Baylor: You know, it’s a pity that Baylor never has anything newsworthy happen to it. Wonder what they’d be like with quality athletes and stuff, you know? 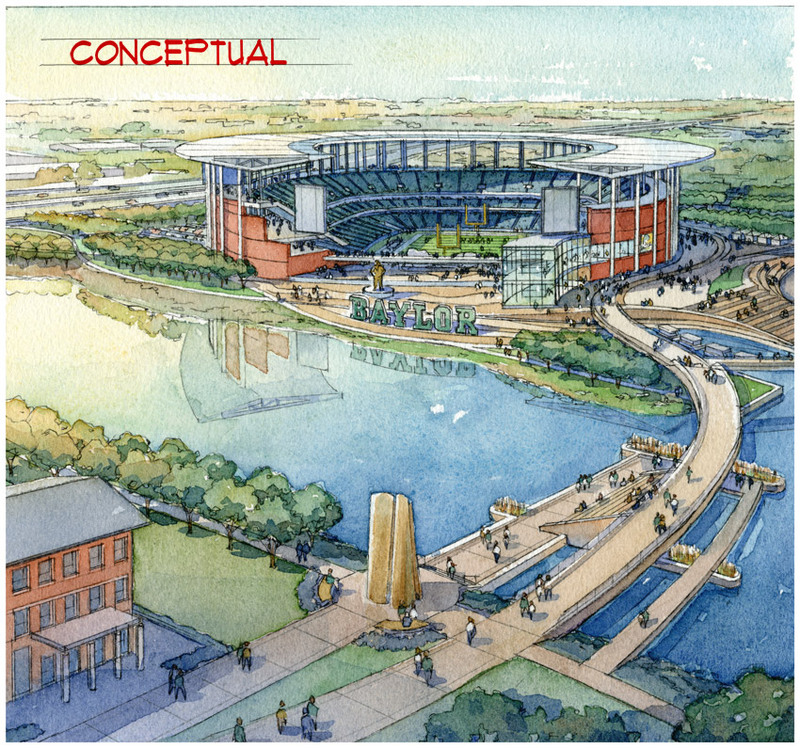 Speaking of new stadiums, the Bears are joining in the game with a river side venue that’s actually near campus. Huge year for the Bears, with wins over Oklahoma and Texas in Waco; that one point loss to KSU probably stings a little bit. 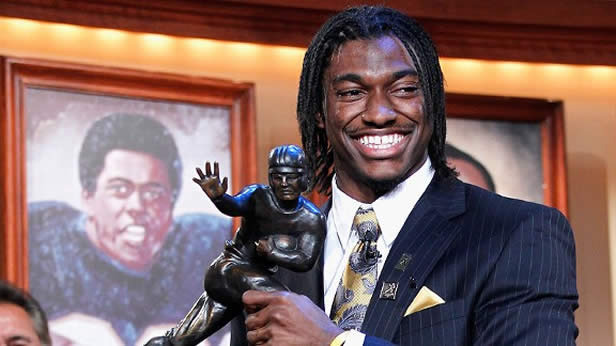 Heisman winner Robert Griffin the third leads a team that’s 5th in the country in passing yards and seventh in scoring- he’s accounted for 4600 yards himself, with 45 TDs and only 6 interceptions. Yeah, he’s good. Fun Facts. Ohio State has never met Baylor on the field. Since Troy’s in the news and stuff, let’s remember that time where he was suspended and the Buckeyes beat Les Miles’ team, huh? Thanks, Vico! Write This Down, Our D is Comin' for you! One of those cliche’ phrases that seems to come true more times than not is that “defense wins championships”. It is true that most of the elite teams do what they do the defensive way and that if you choose to dictate what the opponents offense can and will do, you will win. The Buckeyes and Gators aren’t playing for a National title this time, but they are playing for Coach Meyer bragging rights. Which team IS better, his old team that he clearly will always have an affection for? Or his new team that he has always dreamt of coaching and now holds the key to the future of in THE Ohio State Buckeyes? Let’s get into crunching some numbers about these two defenses. On paper the Gators appear to have the edge. #9 overall in the nation and only giving up 299 yards a game and allowing roughly 3 scores a game is 25th in the nation. Their #39 rush defense has allowed an average of 132 YPG and their pass efficiency defense is in the top 20 at 114. Yardage wise, their #10 pass defense only gives up 167 YPG. In what has been an off-year for the Buckeyes they’re a ways down the list in national rankings. Overall they have the 24th ranked defense in the nation at 328 YPG. They are right behind the Gators in the scoring category at almost 3 scores a game. The rush defense has given up 142 YPG and comes in at 53 while the pass efficiency defense has been average at 125, good for 48th in the country. They don’t give up the yards in the passing game though, ranking 15th with only 186 YPG given up.